Often people ask… I have lived here 9 years. 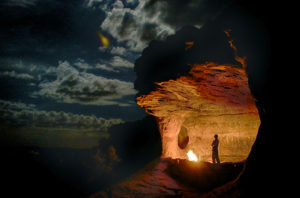 Tell me some things to do in Sedona! and I think… and I think… There is so much to do here and at the same time, I myself am often stunned into silence and awe of the whole experience. Sometimes, its actually too much… the awesome of it all! So now, when someone says to me… what are the some of best things to do in Sedona? 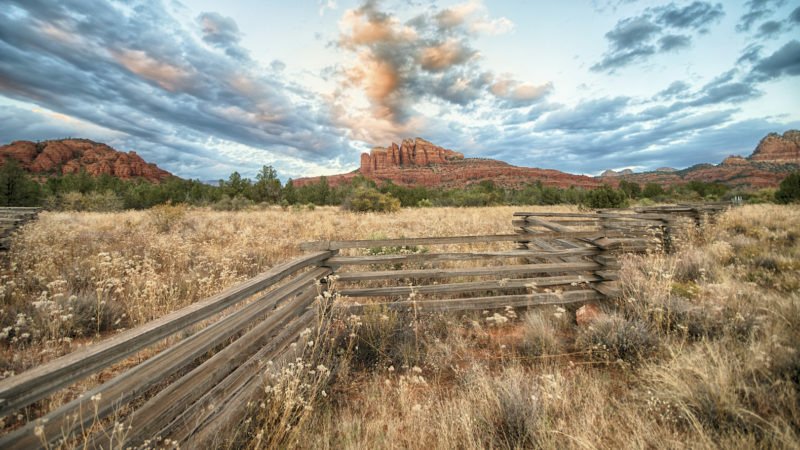 I can say… Aumbase Sedona Adventures… That’s something cool to do. Check out what they are doing! When we awaken, something within us becomes profoundly transformed… there is no going back, as the pull that guides us forward is all too palpable, all too real. We become our becoming, resting into the nature of existence as best we can as the ebb and flow of our perceived connection strengthens. Undeniable, our experiences that harken of something bigger, a broader scope; a deeper meaning, as these incredibly profound happenings shift the very essence of our being. Be Expansive… It’s easy out here. 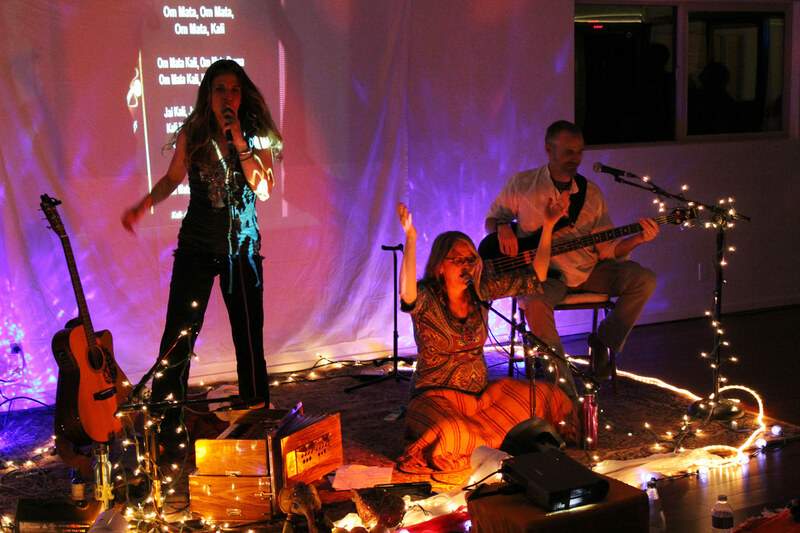 Since time immemorial, human beings have used the vision quest as a means of rapid transformation and personal growth. This is the model… this is the adventure. We will depart from Sedona, after picking up your ride… be it 4 wheels or 2, luxury or practical, the choice is yours. We will travel the desert southwest, some of the most remote, rugged and unforgiving landscapes in the country… with no destination in mind. We will wander, fruitfully in what Marc calls “God’s Country…”, indeed, it is strikingly beautiful in its own unique way and will be the backdrop for your Journey. Transformation is possible and Marc will facilitate, as the experience deepens and the solitude and natural beauty run their course. When we embrace our Dharma, our efforts become service in action, emboldened by Faith we can be sure our contributions to humanity will be uplifting, compassionate and just. We can indeed change the world… by first changing ourselves. 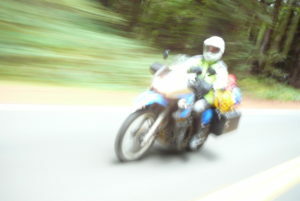 5-day, 10-day and custom length tours are available, 2-wheels or 4. 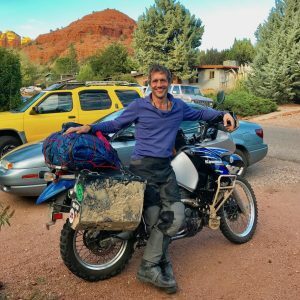 Marc has been an adventurer his whole life; beginning as a toddler camping and hiking in Yosemite National park, graduating to backpacking the Sierra Nevadas before he was six and continuing on throughout his life, he is fully embracing his dharma now, as Aumbase Adventures Lead Guide and company co-founder. He brings decades of experience and a life of adventure, be it from his formal schooling, with a BSc. 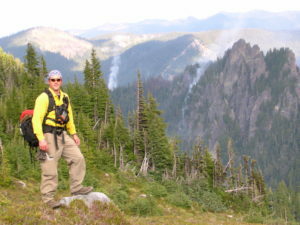 in Adventure Programming, Recreation Management from the University of Montana, or earlier from his youth spent hunting, fishing, camping, skiing near his home town in northern Alberta, Canada. Marc grew up on the land, more at home in nature, to be sure, than the city any day of the week, he thrives when in the elements… in God’s Country, as he says. His career has been diverse; ultimately spending his entire professional life as a Wildland Firefighter, living in fire camps and managing line and aviation resources, public information and fire prevention. He spent his last 5 years in fire traveling the country as an aviation manager on the worst/biggest wildland fires in the country with the SW Area Type 1 Incident Management Team (Last assignment Mustang Complex – MT/ID Sept 2012). It was during this time, Marc was involved in the worst aviation fatality incident in wildland firefighting history, subsequently suffering deeply from PTSD and trauma, he returned to his practices to heal the wounds of the past. 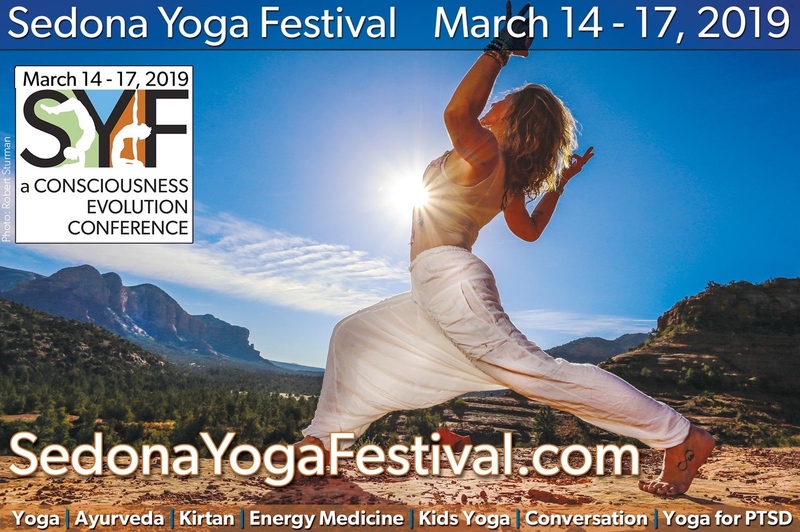 He now dedicates much of his business acumen towards alerting yoga teachers of the issues around PTSD and its effects on families and communities and providing training at the consciousness evolution conference he founded in Sedona, AZ, with his wife Heather. Marc began his Yoga Journey over 15 years ago when Dr’s told him he may never walk again without a cane. Well, he proved them all wrong, healing himself with yoga, meditation, tai chi, & mindfulness; beginning what would become a complete transformation. 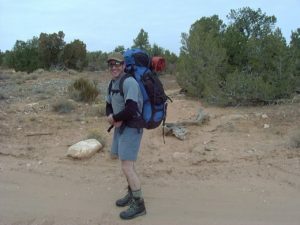 Walking away from a life-once-lived in July, 2007, he moved to Sedona, AZ to become a yoga teacher and… well, he didn’t know. What has unfolded for Marc since arriving in Sedona near 10 years ago, has been a mystical adventure and a Soul’s Journey to Consciousness. Undeniably, so… he has been guided by Grace. Falling down, getting up… Awakening is not an easy thing, but we arrive… in the right place, at the right time, with the right knowledge & information. 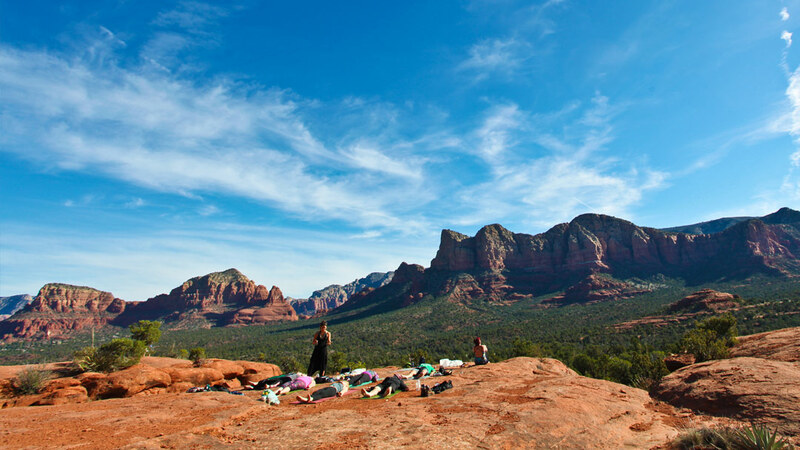 One of the best things to do in Sedona is YOGA!